Workers’ compensation insurance for towing companies doesn’t come cheap. You’d be smart to shop around for the best price and we can help. 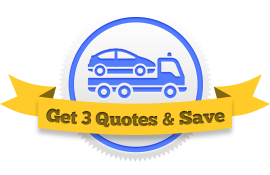 Fill out our simple quote form, and we’ll connect you with three tow truck insurance agencies that will compete to give you the best quote. It’s easy, plus it’s free for anyone in the towing industry. Workers’ compensation insurance provides benefits to workers hurt in the workplace. These benefits include payment for medical bills and lost wages as well as vocational rehabilitation and death benefits. Workers’ compensation insurance is helpful not just for employees, but for employers as well since it removes the potential for business-destroying lawsuits. Almost all companies, tow truck companies included, are required by law to purchase workers comp insurance through either a state fund or a private insurer. Employers in North Dakota, Ohio, Puerto Rico, the Virgin Islands, Washington, West Virginia, and Wyoming must get coverage through state-operated funds. Everyone else has a choice. You can find out what your individual state’s requirements are by visiting the National Federation of Independent Business website. Rates for tow truck workers comp insurance are dependent on the of employees you have, what state you live in, and what kind of business you run. Workers’ comp for auto wrecking businesses costs about half as much as workers comp for auto towing services. Rates are calculated by the number of hours your employees work. For example, the rate for an auto towing service in Washington State is $3.42 per employee per hour worked. So if you have six employees, each working 40 hours a week, you can expect to pay about $800 a week, which adds up to $41,600 a year. Think about it—who would pay more, a workplace where accidents happen frequently or one where they’re rare? If you prevent injuries from occurring in the first place, you won’t face increasing insurance costs. Set up a safety program that anticipates common hazards in your shop. Take it seriously. And make sure your employees take it seriously too. A solid workplace safety program will prevent injuries, and if you put your standards and procedures into writing, you can show your insurance company that you’re committed to providing a safe work environment. Talk with your insurance agent about what else you can do to mitigate your risks. When an accident does happen and a worker is injured, it’s important to file a claim sooner rather than later. This, coupled with a return-to-work program that eases employees back into the workplace, ensures that you won’t pay for claims that stretch out longer than they have to. The longer an employee is out of work, the more replacement wages. Getting quotes from multiple agents gives you a chance to compare prices. Services (like those offered on this website) bring in several tow truck insurance agents at once. Simply fill out a quote request form and soon you’ll have 3 workers comp experts in your state competing for your business.